It’s official! Welcome to the first installment of Behind the Seams: An in Depth Look at the Experts Behind Silver Jeans Co. Jeans. We’re taking you deep into our world of denim making, introducing you to some new faces from Team Silver that you haven’t met yet a.k.a. our super-skilled and full-of-knowledge denim experts. 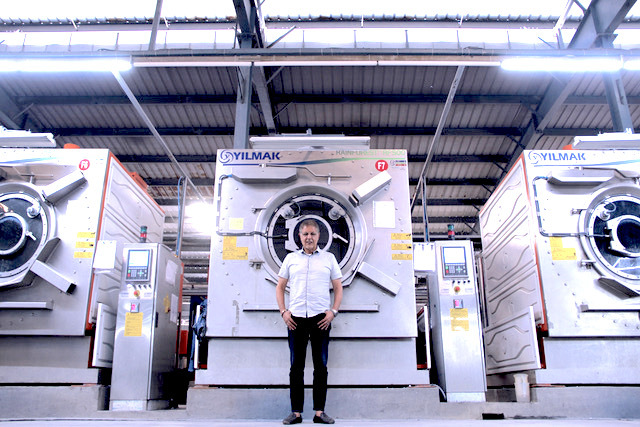 First up, we have Ali Fada, our Director of Wet Processing, better known as our indigo wash master. 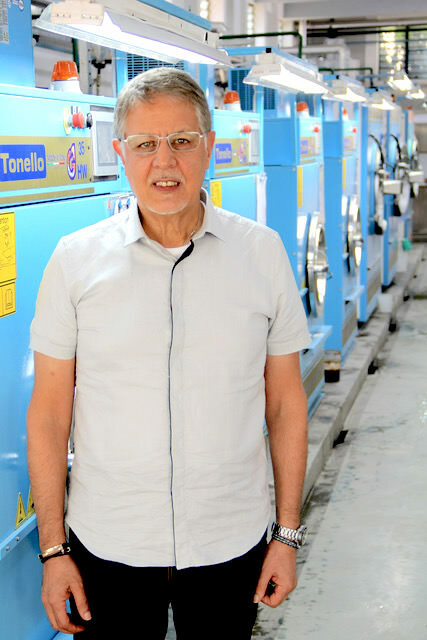 With over two decades of history with us, Ali is the man behind our one-of-a-kind, ultra-authentic washes. It’s his research, development and overall direction that we have to thank for the range of indigo shades and real-looking details in each and every pair. Today, we’re sharing his story—his background, how he started at Silver Jeans Co. and what he does every day to craft the perfect looking jean. Ali has been in the denim industry for over 35 years. Though surprisingly, denim was not his chosen career path. He graduated from Lancashire University England in the early eighties with a Bachelor’s of Science in Engineering. Upon graduating, he found a temporary job at a large textile company in the wet processing department. This was only supposed to be until he was able to find an engineering position. Little did he know at the time, that would never happen. As Ali explains, it was “meant to be”. In the late eighties, he relocated to Winnipeg, Canada with his family, where he was ultimately hired as the Wet Processing Manager for Western Glove Works, and he never looked back. Ali started his position in Winnipeg at the Silver Jeans Co. headquarters. He then began traveling around between Quebec, Mexico and Guatemala to oversee denim production, developments and wash processing. It wasn’t until ten years ago that he moved to work at the Silver Jeans Co. development center in China, where he still resides today. It is there that Ali spends most of his time working his indigo magic. 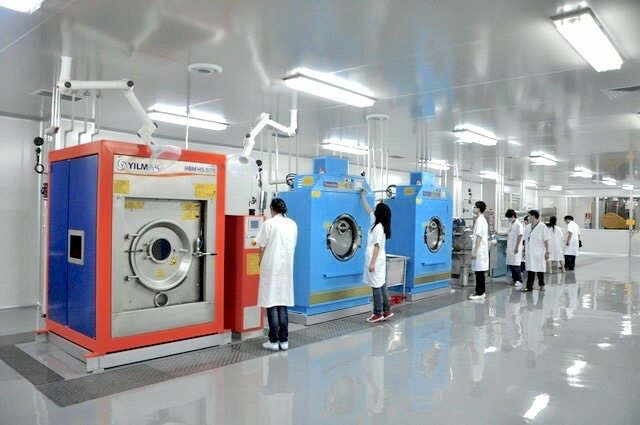 This center is filled with the latest state-of-the-art machinery, equipment and labs used to create our unique denim washes. “I do not know of any other company that has a facility like ours,” says Ali. With help from his engineering experience, Ali is also able to look at fabric in its raw state and determine exactly how to create the desired indigo wash or shade. He visits various fabric mills and inspects several hangers of fabrics, looking at the type of dye as well as the method in which the fabric was dyed. He then chooses what he believes will work best for the Silver Jeans Co. customer. Sample yardage is then ordered, and leg tubes are made for testing. The leg tubes are then washed using various methods to create light, medium and dark indigo wash samples. Ali then presents these samples to the design team, who ultimately decides which fabric and method will be used to create the final product. Ali’s chemical and engineering knowledge plays a significant role in helping our design team create our one-of-a-kind, authentic-looking denim. 1. Laser/Hand Scraping: Every jean is either hand scraped throughout or placed in a laser machine to replicate the distress of normal wear. Laser can be used to create whiskers and other worn-in details without the use of water, chemicals or stones. This creates a natural, authentic look that can be unique to each pair. 2. Ozone: Next, jeans are put into an ozone machine. This happens before they go into wet processing, cleaning any back staining from normal wash processes to ensure all loose indigo dye is eliminated. The ozone allows us to create a clean, sleek wash with a substantially reduced amount of water and chemicals, making it more environmentally friendly. 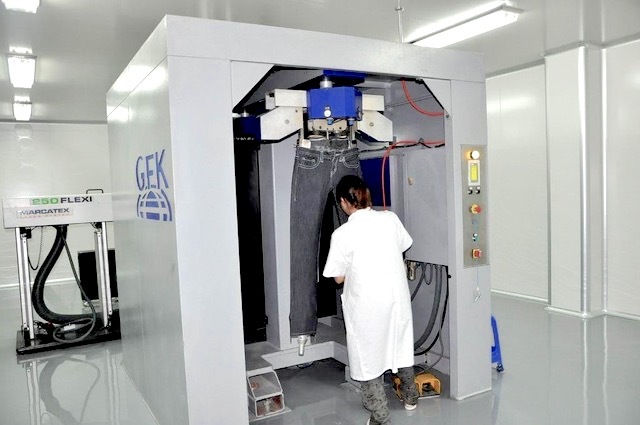 We were the first company to carry out and apply this procedure to jeans! 3. Bag wash: Then, jeans are tied and put in a bag for washing. This also happens prior to wet processing to create a mild contrast after scraping is done. 4. De-size: This is the process in which the extra material is removed from the garments, specifically the warp yarns after the denim has been woven. 5. Resin application: Next, each garment is either sprayed or immersed into resin. After applying the resin, a design is made manually or mechanically on the thigh, hip, and behind the knee to get the 3D effect. 6. 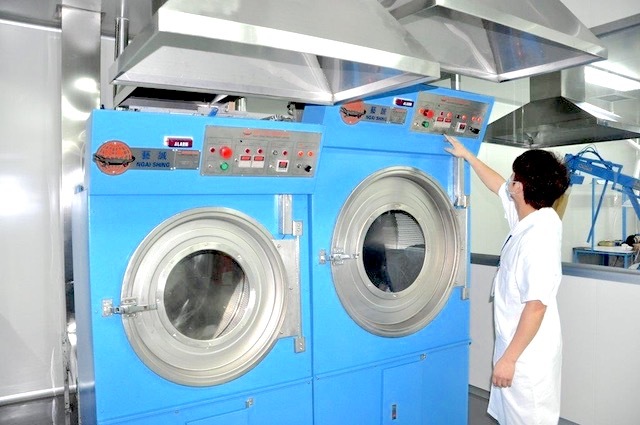 Enzyme wash: The jeans are then put into a washing machine with enzymes. This process breaks down cellulose molecules that are naturally found in indigo dyes, creating a soft, worn-in look. 7. 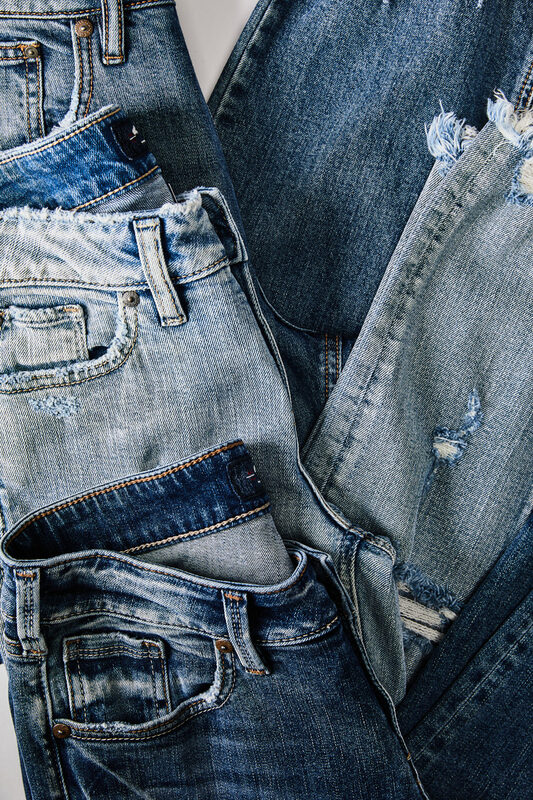 Destroy: Destruction is used in the denim industry to give the garment a distressed and used look. This look is created by special tools being applied to desired area. Knives are used to hand cut through weft and warp yarns to show white thread holes, making each garment unique. 8. Tinting: Sometimes tinting is needed to create the desired shade. A very small amount of dye is applied to the denim, giving that garment a specific cast of indigo. 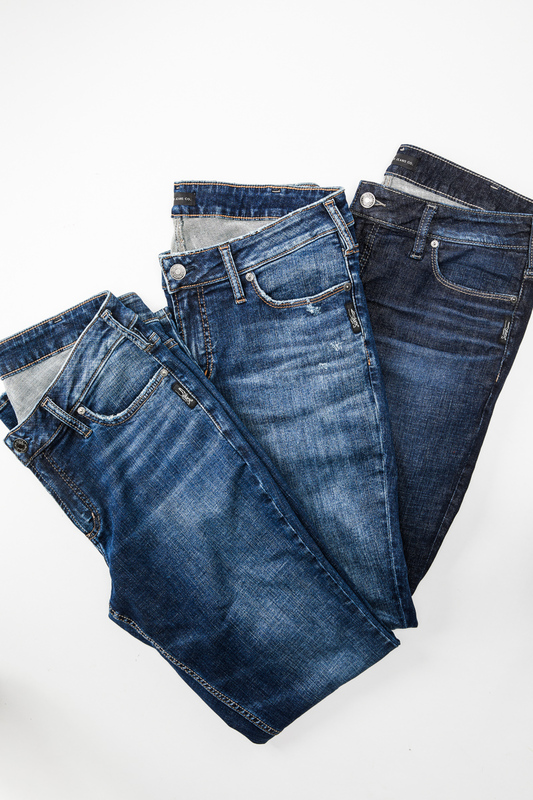 It is oftentimes used to give jeans a vintage, worn-in look. 9. 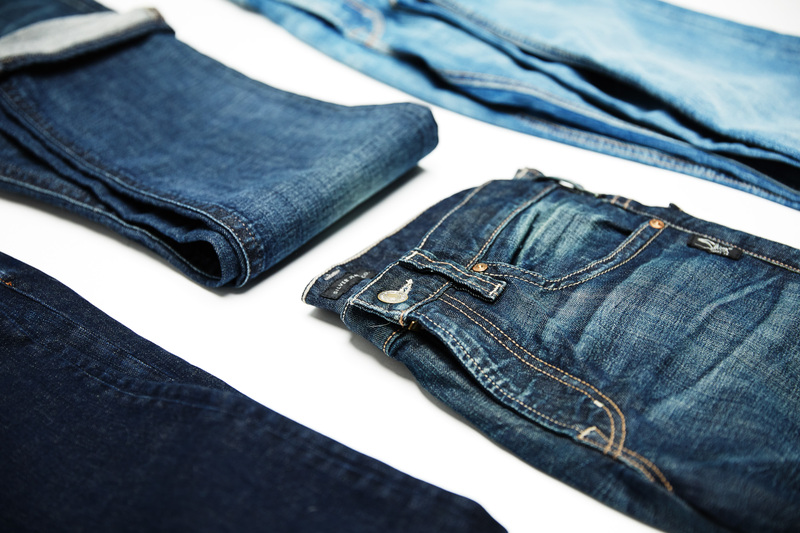 Finishing: Each jean then undergoes a variety of finishing processes to reach the final desired look. This process is specific to each jean depending on the wash and details we are aiming to achieve. 10. 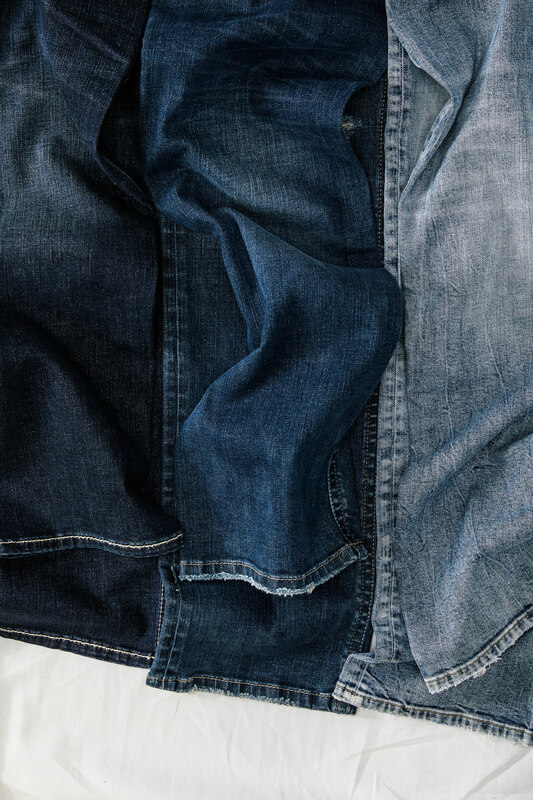 Softener: Finally, softener is applied to the finished denim to ensure the handfeel is soft and comfortable, which is equally important to the look of the indigo wash. Beyond his day-to-day process, Ali shared some fun wash facts too. He shared that light washes are easier to obtain than dark washes. The reason is that lighter indigo limits the looks you can achieve whereas darker indigo can give you the opportunity to create a variety of different looks. His favorite washes to create? Vintage. He states, “I like to find a garment that has been worn consistently, whether it be by a farmer or a laborer, for example. Then I take that garment and try and recreate the features displayed and created in the worn denim.” Other members of team Silver often refer to Ali as the ‘mad scientist’, as he always trying out new techniques and treatments, never being afraid to take risks. With denim being so classic and iconic, you might be wondering how someone in Ali’s position continues coming up with fresh and new ideas. Ali finds most of his inspiration while traveling, specifically to remote areas in countries off the beaten path. “Small vintage markets are where I can find denim garments that are different and more organically worn,” says Ali. Some of his recent destinations have been India, Cambodia, Vietnam, Mauritius, Sri Lanka and Bangladesh. Once a year he also travels to Italy, Spain and Turkey to source out new equipment and the latest technology. This ensures Silver Jeans Co. is always utilizing the most modern production techniques. Although a day in the life of Ali always revolves around denim, it is consistently changing from season to season, year to year. The industry itself has evolved in major ways. 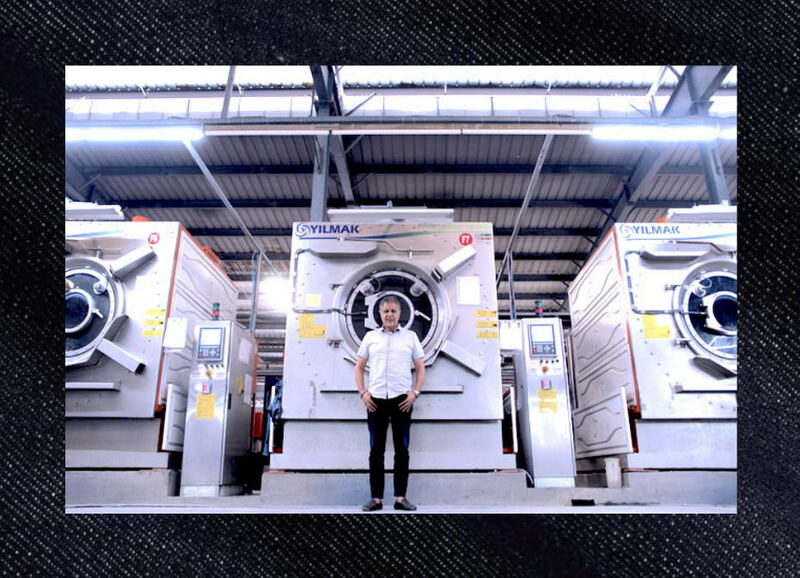 One area that Ali is focusing on next for Silver Jeans Co. is gaining more knowledge on the environmental side of wet processing and the sustainability of garment manufacturing. 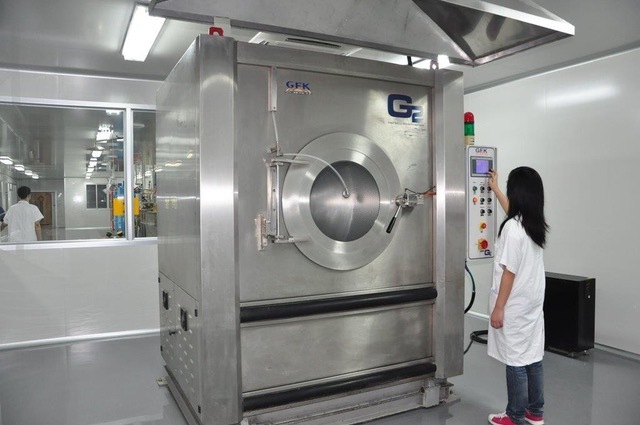 “Although we have greatly improved in all areas of wet processing, there is still room for growth,” says Ali. He is leading this advancement by sourcing greener wash chemicals, with the ultimate goal to create every single product this way from now on. Questions for Ali? Comments? We’d love to share them with him! Leave a reply below, or comment on our latest Instagram post @silverjeansco!